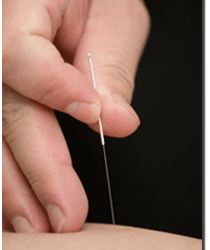 Acupuncture is one of the therapies that are used in the practice of Oriental Medicine. It consists of the insertion of fine needles into the body at specific points for the treatment of specific health problems. Oriental Massage is also known as Tui-Na or acupressure. It utilizes massage techniques that are based on Oriental Medicine principles and acupuncture points. When an Acupuncture Physician performs massage they do so as part of a full diagnosis. 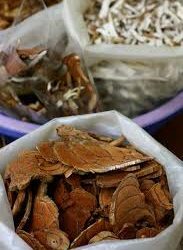 Oriental Medicinals are usually referred to as Chinese Herbs. Most of them are herbs but some are minerals and a few animal products are used. These oriental medicinals are prescribed in accordance with full diagnosis of the patient’s condition. 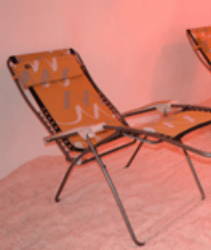 Halotherapy Halotherapy is therapy which makes use of salt. Numerous forms of halotherapy have been known of and used from millennia. One finds the first mentions of spa resorts in Poland in records dating from the twelfth century. They relate to bathing in mineral waters. Ariane Acupuncture & Oriental Medicine uses Acupuncture, Oriental Massage, Oriental Medicinals And Halotherapy. Ariane Jackson is Board Certified in Acupuncture, and is licensed to practice in the State of Florida. She also holds a degree in nursing from her native Switzerland. Ariane's patients regard her as very gifted, and her colleagues, and other acupuncturists, seek her out for treatment. She has successfully treated a wide variety of conditions by treating the person, not focusing narrowly on just the disease or symptoms. When you come to see Ariane, she will discuss your health, and address YOUR concerns. Dr. Jackson is great! So nice and awesome at what she does. Front desk is really nice as well and they are very accommodating. I would highly recommend. I was a successful athlete before the car accident. After the accident my life totally changed. The neck and shoulder pain from whiplash and the back pain were so bad they woke me up at night. I could not work and had to give up my job. The pain became chronic and I became depressed. Ariane was the first person who could do something to help. It took some time but gradually the pain became manageable. Now I have my own successful business. I regard Ariane as a very close friend. She gave me my life back, she really did. Please use the form below to contact us via email or call us at 727-789-3110. Copyright©Ariane Acupuncture & Oriental Medicine LLC 2018. All rights reserved.